The words "kitten heel" might understandably make you shudder, as for the last few years these have been regarded as an item that belongs firmly in fashion's Room 101. But as we know from the return of Juicy Couture velour tracksuits and scrunchies, even the most divisive trends can come full circle. The likes of Dior, Chanel and Prada had kitten-heel slingbacks and pumps in their S/S 17 lineups, confirming that, like it or not, the kitten is back. But if you're looking for an update on the classic (and often twee) silhouette, opt for the edgier style Mary-Kate and Ashley Olsen are championing at The Row—the mule–kitten heel hybrid. 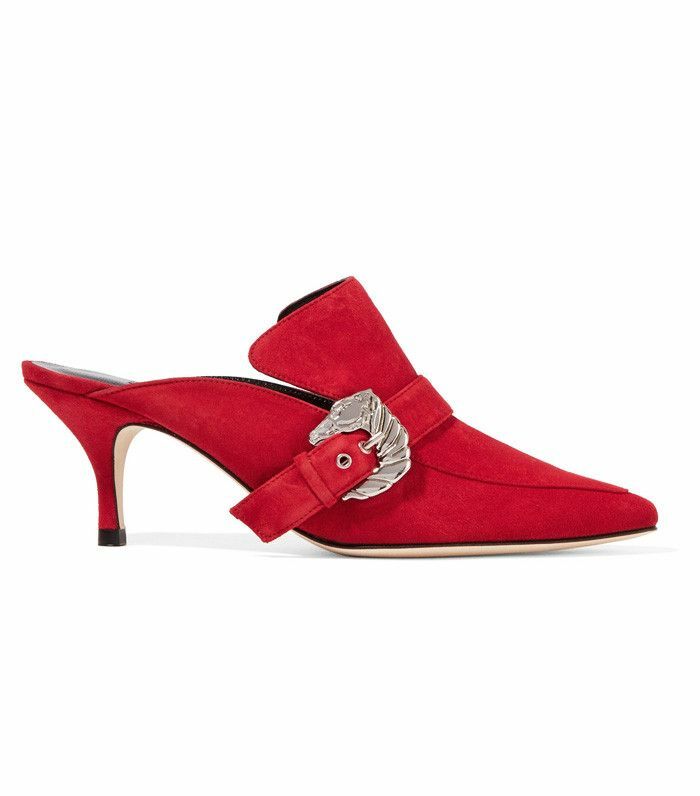 If your shoe fund doesn't quite stretch to The Row, you can also find the kitten mule in Zara and Uterque. The safest route in? Go for black. You'll look eternally chic. Want to know more key trends for 2017? See our guide to the seven looks you need to know for S/S 17.